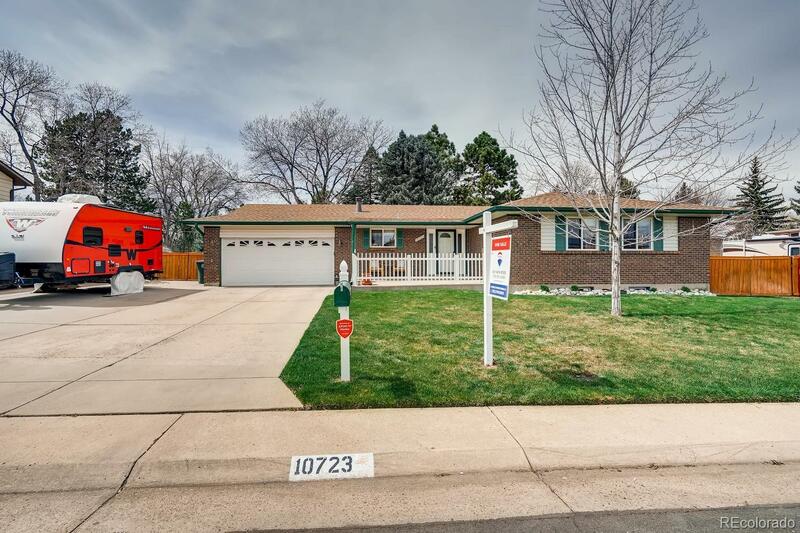 Move-In Ready 3 Bed 3 Bath Ranch Style Home is Seeking New Owners. You will not be disappointed with the pride of ownership and various upgrades throughout the house not to mention the incredible backyard. The master bathroom is stunning with white shiplap to give just enough country charm while highlighting the beautiful oversized shower. Both of the other bathrooms also have new updates that include; tile flooring, light fixtures, mirrors and vanities. In the basement there is plenty of storage, an additional living/office space with brand new carpet, plus another recreation room. The front patio is a perfect location to enjoy the morning sun. While the backyard feels like a private oasis with multiple mature evergreens and a fire pit area. There is ample space on the patio to grill and entertain. There is a gate and parking area to the North of the house, an extra parking pad for a large RV or boat next to the garage and the garage has a service door to the backyard.